I ran away from home, the summer I turned ten. And I packed for never coming back. If there was a reason, I don’t remember. With three older brothers, there was enough reason. Too young, too short, too girl. Whatever the reason was, it carried me out of our apartment, through the endless steel corridors, and a mile or two down the nearest freight elevator. I stuffed my backpack with jeans and t-shirts, and three changes of clean underwear. I took all the money out of my piggy bank, and a couple of stuffed friends I wasn’t quite old enough to leave behind. And then, in supreme rebellion, I snuck into the library, collected the travel cable out of the desk, and took The Book off of its carved oak charging pedestal. For a moment, I hesitated. The Book. I wasn’t allowed to use it without supervision, and in truth, I’d never been alone with The Book before. Before I ran, I made a nest between my t-shirts and my underwear, and tucked The Book into that hollow. And that was what got the Police’s attention. What kind of kid takes The Family Book, and leaves the virtual reality headset, the speakers, and the vibration motor? Without all that other stuff, the only thing you can do with a Book is read. That’s what made them so certain I was kidnapped, so sure something horrible had happened. The only thing I took with me was The Book. Outside the City-building, the noise faded, and the silence began, and after a while, I found a place in the shade, where the only sounds were crickets and the mechanical drone of robotic pivots. I read until I fell asleep, and read again in the strange red light of natural day. I sank so deep into the luxury of time and words that I didn’t hear the sirens until the police were nearly on top of me. I left everything but the Book, and ran, stumbling through the corn. I looked back, saw the big, blue machines coming, tripped over something, or nothing, and fell. My skirt caught, and tore, and one of my shoes fell into the water in the ditch, but I kept the Book safe. I crawled into a culvert to hide, and cut my hands on the snaggle edge of the rusting tube. The police robot secured my ankles, and pulled with the calculated force necessary to get a foolish little girl out of a culvert before she drowned. I clutched the Book against my chest, and slid across the corrugated steel. An hour later, I was standing in front of the child advocate and my mother. By then, the nano-bots had repaired my skinned knee and the cuts on my hands, and the only evidence of my fall was mud and the ripped skirt I had to hold shut with my hand. “Can you tell me what happened?” the advocate asked again. I repeated the truth. Nothing. Nothing happened. Still, she kept asking, and my mother asked. Nothing happened. I held the Book tighter. I’d taken care of it, hadn’t I? Not a scratch on it. I was in trouble, but at least that was in my favor. I looked up at them and said what grownups always wanted to hear: “I’ll be good,” I said. I held the Book out to them, a peace offering. “You can have the Book back, I said. The dispatcher winced, and my mother stopped being brave. She hugged me and shook her head no. “Darling, it’s okay. You can keep the Book.” I pretended not to notice the tears, and she pretended she knew how to fix whatever had happened. Thanks for visiting! I’d to hear what you think, or just leave a comment to say hello. If you’re interested in reading more of my work, my bigger science fiction project starts here. I’m adding chapters as I go along. 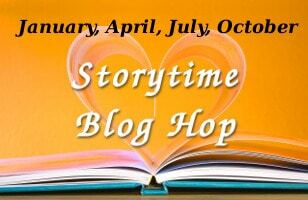 Pingback: After I Died: A Storytime Blog Hop Story » rpg+fiction=? Very intriguing! I wish we knew more about the contents of the Family Book. Well… I’m not sure I thought as far as content. I was envisioning a piece of very expensive technology–something like a Kindle–where all of the entertainment functions have been combined. When I think about my own childhood, curled up in various houses, reading peoples’ books, and then compare with the tablet/kindle libraries, now…. It makes me a little sad to think about the idea that the books are there, but not visible, and not accessible. The thought came up while we were talking about the future of publishing over on the Bootcamp forums. 😀 Me, too! I’m glad you enjoyed it. Prob’ly… But since I still haven’t settled on one for the long term, I’ll just have to promote the site, for now. 😉 Yeah… I know you’re right. Dangit. much as I love the usefulness of my kindle, nothing beats a solid book in the hands. Well done, and yes – I’d like to know what’s in the book too! An interesting, yet grim take on what the future might behold for books. I like how your MC’s desire to read the Book his greater than reason.